Working with street children who make a living off of city dumps. 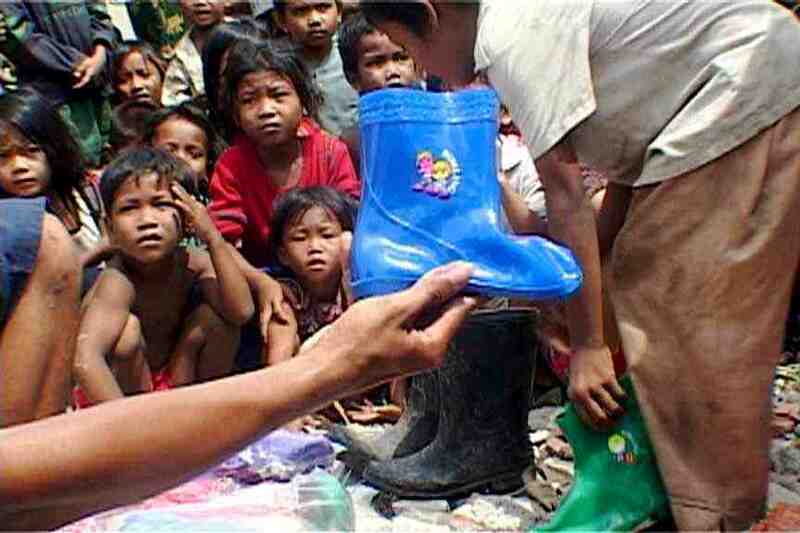 Distributing free rain boots, some of the smallstepproject.org. In October 2008 two friends and I started our gap year in Thailand. We began in Bangkok, where we shopped non-stop on Khao San Road, then moved to Koh Samui to learn Muay Thai kickboxing, and up to Pai for yoga and massage courses. We went across to Laos for cooking lessons, and it was here that I went into a school and helped with English lessons. I’d always been put off volunteering by the idea of having to pay a company to work for nothing, but this was free. We moved onto Vietnam, and back to marathon shopping, but I just wasn’t feeling it. I’d got a taste for doing something “better” and I wanted to do more of it. So I left my mates and went ahead to Cambodia. 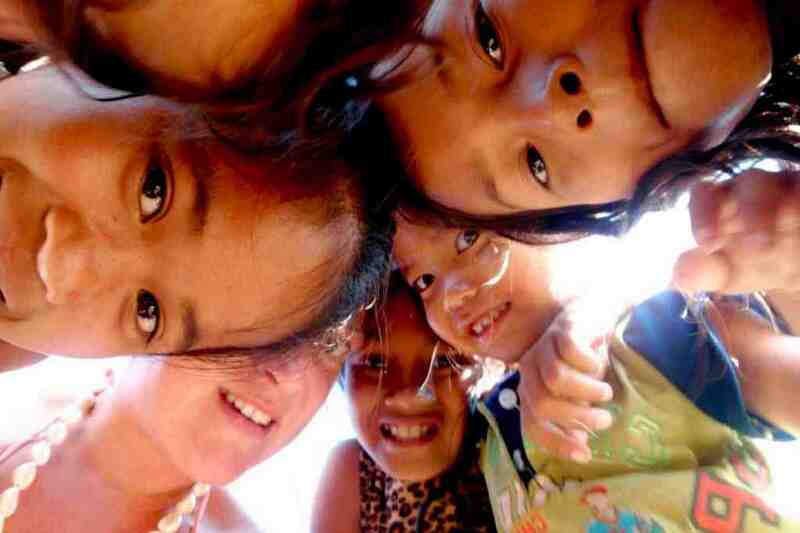 The day I arrived I found an HIV orphanage called House of Family, where I volunteered. I asked the doctor what happened to all the other orphans – there were only 30 kids at the orphanage but the prevalence of HIV/AIDS in Cambodia is among the highest in Asia. 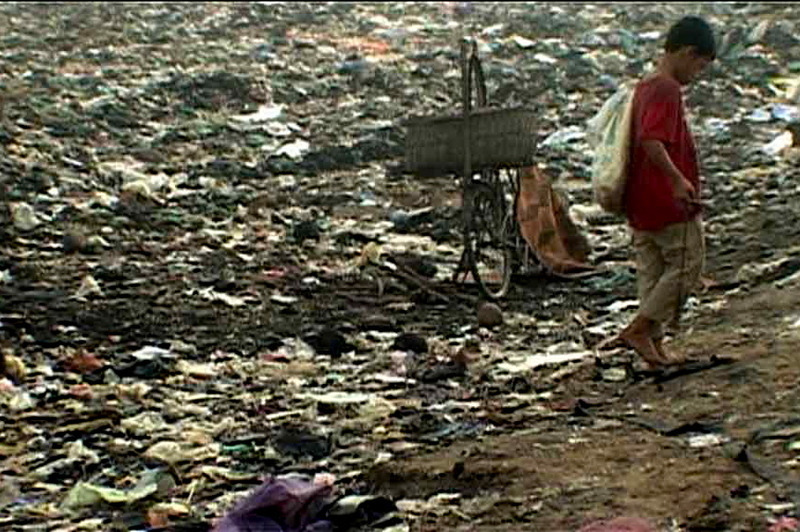 She explained that they were living at the rubbish dumps, so that is where I went. I discovered children eating dirt, sleeping on dirt and walking barefoot on burning toxic waste. It was inhumane and unacceptable. So I came back to England, borrowed a video camera, raised £1,000 on Facebook and returned two weeks later to do the first Small Steps project. I gave wellington boots, clothes aid, food and water to the children. Then I came home, edited the film, screened it and got an amazing reaction from the public. I registered Small Steps as a charity and intend to repeat the project – called “Around The World in 80 Dumps” – on inhabited dumps around the world, to create awareness and help people. I am now the director of Small Steps Project, the next project is in Nicaragua. To find out more about Small Steps, how to help and get involved as volunteer, click www.smallstepsproject.org. This entry was posted in Adventure Travel, Philantrophic Travel, Responsible Tourism, Uncategorized and tagged Ecotourism, Humanitarian Travel, Unique Travel Experience, VolunTourism. Bookmark the permalink.